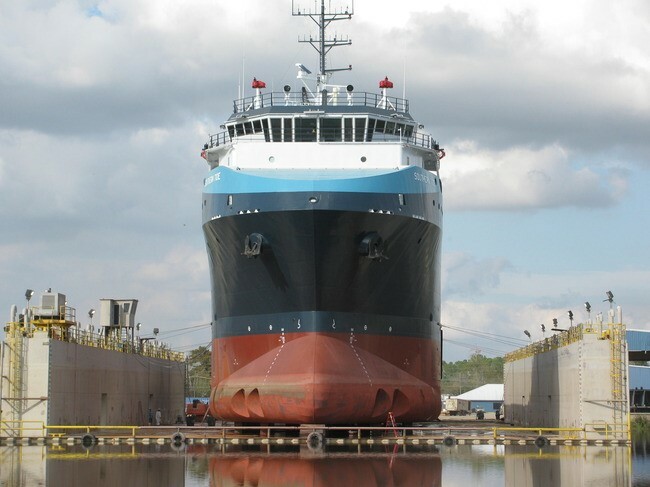 All South Consulting Engineers completed the design of critical shipyard improvements for the Terrebonne Port Commission in December of 2018. The Port Commission needed to construct substantial improvements to a lease to Thoma-sea Shipyards at the Thoma-sea new construction yard. Thoma-sea has been awarded a major construction contract for a new vessel, with tight deadlines for the start of construction, and final delivery. All South was asked to come up with a design to significantly strengthen the soils at the site, and to construct a steel bulkhead at the edge of the port slip. The soils needed more strength to support the 300’ vessel during construction, and the bulkhead is necessary to support the vessel launch. All South completed the design of this $15M project in less than 3 months, a schedule driven by our client’s needs. This project is under construction in 2019, and will be completed this year.